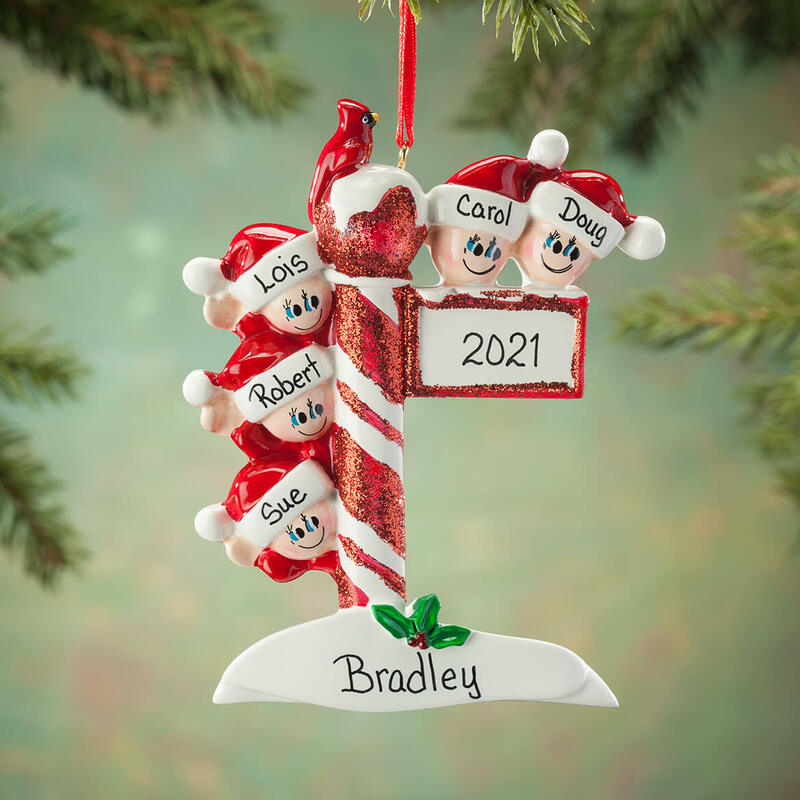 For several years I have been buying personalized ornaments for my two children, their spouses & 7 grandchildren. This is the first time I've used MK & am very pleased. My tradition is to give them out on Thanksgiving. Each year the grandkids are anxious for them. This is a gift for my niece and her family. I get a new one each year to commemorate Christmas as a family. This is adorable and really works with the family dynamics. My son and his family love it. Bought it for my daughter and her family and they love it. Very cute. However, it was received without the year printed on it - just a blank area. Not a major problem, but disappointed. I've been ordering each year and, with only one exception, I've been pleased with the product and service. I purchase a family ornament for my daughter and her family every year; this is he one she picked this year. Very cute for our Niece and Nephew's family. 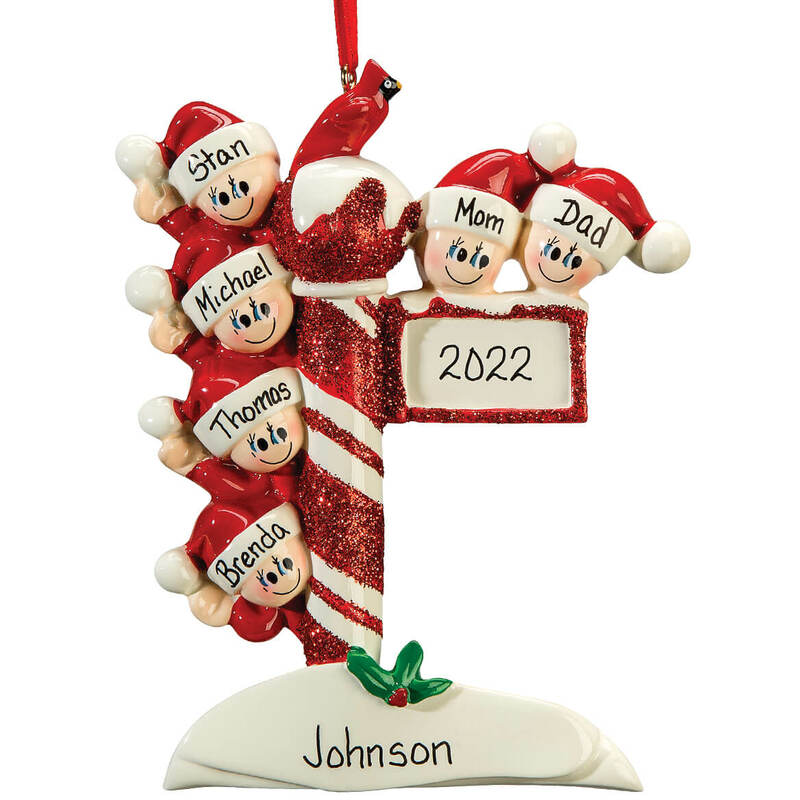 Great selection of personalized Christmas ornaments, competitive prices, excellent service in the past. Thank you! 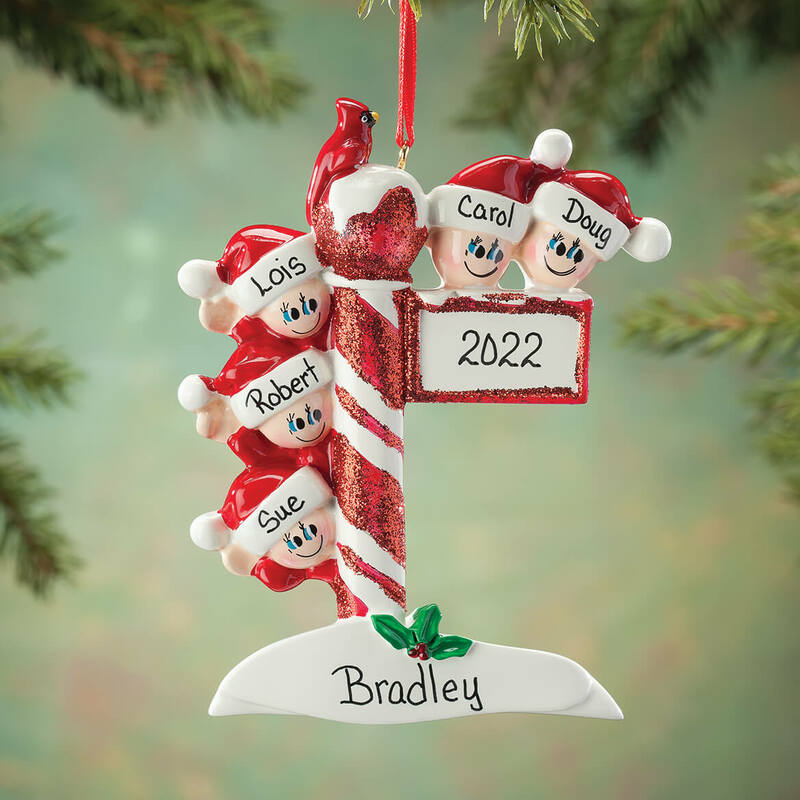 I have 3 great grandchildren and I wanted something small to put their names on. It was new & different for my great granddaghers to hang on the tree! Do you have 1 with 7 names? BEST ANSWER: Thank you for your question. Unfortunately we do not offer that many names. We hope this information will be of help to you.